​If you have struggled to navigate the tough seasons of and have comforted yourself with food, alcohol, a medication or drug, you’re not alone. If you have abused your body by eating or drinking too much, or hurting your body with a drug or medication, you’re not alone. If you can physically feel the toll this addiction has on you, feeling overweight, getting the shakes, a headache or more, you’re not alone. If your mind has been so loud that you could only calm it by using, you’re not alone. If feelings such as anger, fear, sadness, pain, shame or guilt have kept you going back to using, you’re not alone. If you have tried and tried again to get out of the cycle and have failed, you’re not alone. If you have let down your partner, children, family or friends over and over, you’re not alone. If you prioritized eating, drinking, or using over people you care about, you’re not alone. If you feel like you don’t even know who you are anymore, you’re not alone. If you have lost direction and drive, you’re not alone. If you have lied or stolen because of your addiction, you’re not alone. If you lost your job because of your addiction, you’re not alone. If you feel out of control and hopeless, you’re not alone. If you get angry at those trying to help you even though you desperately want to be helped, you’re not alone. …have a close relationship with God. …become the spouse and parent you’ve always wanted to be. …learn ways to redirect those negative and busy thoughts that keep you captive. …learn coping skills to make friends with all your feelings and deal with them effectively. …figure out who you really are. …find and work in a meaningful career. …learn to reduce any debt and work towards financial freedom. …recover and your body can heal over time. …gain a sense of control. …become a great role model for others. I want to see all of these things and more to become true in your life. Take the next step and come out of hiding. Reach out to a friend, support group or counselor. Feel free to also check out our online classes to help along the way. Don’t hesitate to contact me with questions or if you need resources. It is the season you may have been looking forward to since you were a little girl. You are finally becoming a mommy! 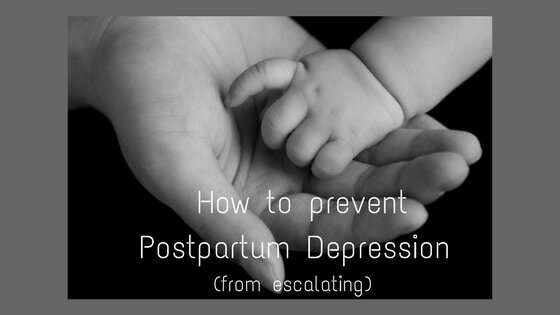 Once you are in the pregnancy and postpartum season you may realize that there are many challenges you didn’t expect. Pregnancy can be uncomfortable to say the least and having a new baby brings with it sleepless nights, a change in identity (you are now a mother), your body is still not the way it was before getting pregnant and of course changes in your relationship with your partner, to name a few. While the joy may outweigh the challenges, it certainly isn’t all bliss! Become informed. Know the warning signs of depression. 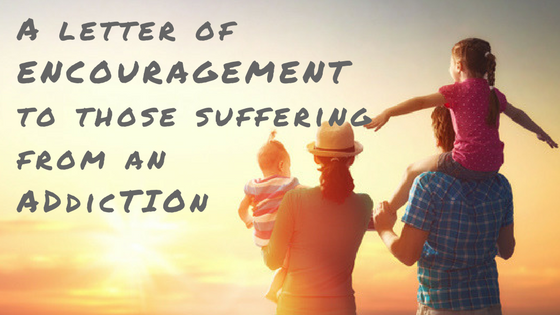 Develop a strong sense of God’s goodness despite trials. With that I mean, wrestle with the question how God is good and sovereign, and allows evil and pain to be present in the world. Think about a time that was difficult for you, in what ways did you sense God’s presence or helping hand in the midst of the struggle? Manage negative thoughts. Write a list of things you like about yourself and create a habit of focusing on what you are grateful for in life. If this is an area you struggle with, I would recommend for you to take our online course Mind Matters. Increase your emotional intelligence. Learn how to manage tough feelings: sadness, anger, guilt, shame, fear and anxiety by writing in a journal or talking about them. A helpful resource we developed is the Emotions Expressed online course that specifically teaches these skills. Develop healthy routines such as sleep hygiene, exercise, nutrition, and self-care. What areas of your life do you feel like you need to be more disciplined? What do you need to do to increase your physical health? Stop unhealthy coping skills now. Do you tend to go to food, alcohol, or netflix binge-watching when you feel deeply? Try to learn better skills now. We have developed a class called Changing Habits that could help you develop a strategy to stop a bad habit. Build a strong support system. If you feel lonely or that you do not have enough friends, try to develop a community around you. It’s important to have other people you can rely on. Where do moms meet in your community? Are there any clubs or activity groups you would enjoy joining? Learn how to be assertive and ask for help. Practice this now. Learn your limits. What tasks can you delegate to other people? Who can you ask for help? Learn good conflict management. Learn to bring up things that bother you right away. What type of issues do you tend to ignore? What are some things you could address with your partner now so that it is resolved before the baby arrives? Increase problem-solving skills. Become a brainstorming expert to ways to manage life and difficult situations. Are there any unresolved problems you could address now? Doing these things may not prevent you from getting depressed, however, they may decrease the intensity and duration of depression. Counseling can be a great place to develop these skills. If you do not have the time or resources to see a counselor, consider taking one of our online classes. We want to set you up for success in life and highly challenging seasons. Parenting has its joys and challenges. 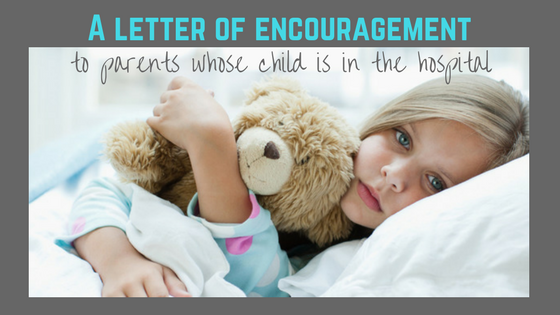 Few things seem to be more challenging than watching your child be sick or hurt. You may want to take away their pain. You want them to be “all done” with treatments, or take them outside to play. It is a tough season! There is really nothing I can say to make this easier for you, but I hope you feel encouraged knowing that you are not alone in this. I want to encourage you with the word: EMBRACE. Embrace the humanity. Perhaps you are baffled with the question of whether this is really happening or why it’s happening to you. The blunt truth is that life is full of good seasons and bad seasons. No one is exempt from that. You didn’t do anything wrong! It’s just life being life. Embrace the love. Share what is happening with friends, family and acquaintances. Ask for help. Notice how they may reach out with a helping hand to pray for you, run errands for you, or bring you a meal. In a time when parenting has become an isolated matter between two people, it’s nice to be reminded that in tough times, the village still rises to the occasion to help bring up that child. You’re not alone. We’re in this together. Embrace your feelings. I get it, you want to stay strong for your child or family. That doesn’t mean you have to be numb to the experience. Try to find the sweet spot where you can ride the waves of emotion while staying responsible to the needs of your family. Reach out to a counselor; it might be nice to have a separate space to process this experience. Embrace the mental fog. Don’t expect yourself to remember or comprehend everything. Your thoughts are focused on your baby’s health. Give yourself some grace, reschedule important meetings, ask forgiveness where you messed up and move on. Embrace yourself. You’re the best mommy or daddy for your child! No one can do it as well as you can! Don’t let anyone, including yourself tell you differently. The fact that you are at the hospital comforting your child whenever you can, trying to get her the help she needs to get better, speaks loudly about your wonderful parenting skills. Your child is blessed to have you! Embrace your spouse. You are in this together. This is a time to build each other up and allow this to be a season to grow (even) closer together. Avoid blaming each other or micromanage each other’s parenting. Tough seasons can bring out the worst in us so give each other lots of grace. Embrace boundaries. You see, this season is a time to focus on YOUR family and YOUR needs. You may typically be the one others come to with problems but now is a time to set limits on what others share with you so you can be present with your own situation. Embrace new skills. We’re all imperfect parents. We don’t know how to treat every medical incident. That’s why we have doctors who do. Allow them to teach you how to help your child. Now, on a side note, you may get advice from other people on how you could have prevented what happened or how to help your child recover. This might make you feel angry or hurt. Remember they mean well and with that I want to encourage you to take the good and discard the rest. There are more important things to invest your energy in right now. Embrace your faith. God didn’t do this to you. God is still sovereign and good. In fact God knows about suffering and is right there by your side. Any encouragement, hug, meal, act of service, medical treatment, or anything at all that has been helpful in this season is God working through people to show you his love. Embrace life. Don’t let fear limit you moving forward. Yes, this happened and it wasn’t good. You may feel the urge to helicopter over your child to avoid future harm, but resist this as it might actually hurt them, too. Protect them but know that it's important to allow them to have fun and experience new things. Dear mom and dad, keep up the good work! This season will end eventually. Life may be different once you come out of it but if you embrace this experience for all it’s worth, you may come out more resilient than before, and surprised by strength you didn’t know you had. My mother is a story teller. She is extraordinary at coming up with her own characters. One of these characters was Becky, an adventurer to America. Unbeknownst to my mother, this story may have ignited my course towards immigrating to the US. Growing up, I had knack for languages. It just came easy to me. I also loved travelling and visiting new cultures. After a family vacation in Australia at age 12, I had “Fernfieber”, which literally means “distance fever” and is the opposite of being homesick. I had to have my travel adventure. I begged my parents to allow me to live a year abroad. I was particularly interested in the US; perhaps because of MTV, or watching too much Dawson’s Creek. And at age 16, I finally embarked on my adventure. I moved from Tuebingen, Germany to Vacaville, CA to live with a family for one year, improve my English and learn about American culture. It was a formative year in which I learned a lot about myself, relationships, and God. I fell in love with America. I felt at home. I was a foreigner but also becoming American. Upon my return back in Germany I didn’t quite fit in. I was changed. I was German but also American. I continued to move back and forth between the two countries, doing an internship in Illinois and a semester in Kansas while completing my Bachelor’s degree in Germany. Then I decided to do my graduate studies in the US and was thrilled to be accepted to the Clinical Psychology program at Wheaton College Graduate School, IL. The summer of 2009, I entered a plane on an F1 student visa not knowing that this would be my final move. While in grad school, I attended Willow Creek Community Church. During one of the young adult services a tall, handsome guy in a leather jacket caught my eye. He charmed me into a coffee date and then into being his girlfriend. I graduated in May of 2011 and had 90 days to find a job to secure an extension on my visa for a practical training year. After sending out resumes and praying fervently, I was able to start my first job exactly three months after graduating. My boyfriend and I continued dating. After 10 months of being “facebook official”, he proposed. Shortly after that we got married. Now it was time to apply for residency. It was an exciting day to receive that little green card in the mail! Two years passed and I decided to make the official transition and apply for citizenship. In November 2015, fourteen years after my first move, I became a dual-citizen. 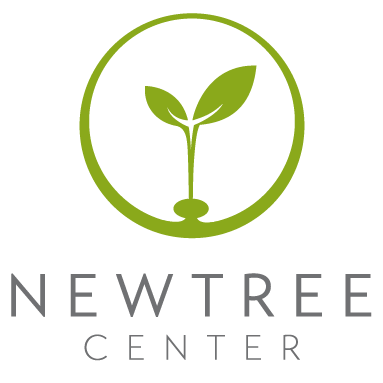 One year later, I started my own business, NewTree Center, Inc. I suppose you could say I am living the American dream. Don’t get me wrong, I am still a foreigner. I think differently, I pronounce some words in my own unique way; I have arguments about cultural differences with my husband at times. I am aware that this country has its challenges just like any other nation. But I like living here. I like how friendly people are. I like the sense of opportunity. I like that it’s not unusual to be a Christian. I like that there are so many cultures represented. I like the diverse countryside. I like the skyscrapers in the city. I like being an American. Everyone has a story. Mine is actually quite simple. I did not have to flee persecution or war. I did not have to work my way up from nothing. Yet, I relate to anyone who has come from another country seeking to build a life in the US, whatever the circumstance. I feel hurt when people speak out against immigrants because I am one. I realize that it is a complex task to come up with laws on how someone can enter a country and this is not a political post. 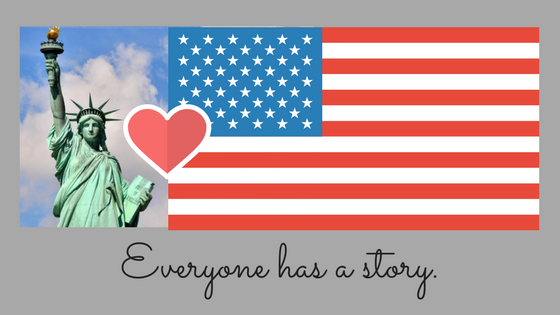 Instead, I want to speak an invitation to all Americans to pause and listen to the stories of those who immigrated. Cultural transition is a significant life experience and you may be inspired by plot-line of resilience and love for this country. We recently had our second baby. A beautiful little girl who is making our life richer in love and chaos. The day we brought her home, was the day my toddler Cayden all of the sudden became a "big boy" as opposed to "my little baby." Anyone else have that experience? With the transition, I also became more aware of the ways in which I allowed myself to fight the same battles with Cayden every single day. It reminded me of the 90s movie Groundhog Day featuring Bill Murray. The same drawers got dumped, the same cabinets put into disorder. Once we brought Lena Rae home, I didn't have the patience to do the same thing over and over. It didn't take much to take out a few of my ’groundhogs.’ My husband installed more child locks to cabinets and drawers which made a big difference. The process of removing these daily burdens taught me a bigger life lesson. I started contemplating other areas in my life where I continue fighting the same battles over and over, not realizing it would only take a small change to stop the groundhog experience. I wanted to share that with you, because I can imagine I am not the only one needing to kill a few groundhogs. Identify the problem areas. Keep a list. Develop a tactic to eliminate a few groundhogs to kill in 2017. Aim at eradicating the repetition. Bury the dead groundhog. Check off your list of your successes to keep you motivated. In hunting a groundhog, be sure to find a hunting partner. Work with someone to help keep you accountable. Want to get the latest blog straight to your Facebook news feed? Just hit 'like'.